The UEMS IR Division endorses the European Curriculum and Syllabus for Interventional Radiology. The document comprises general topics and safety concepts and covers all specific areas with which a well-trained interventional radiologist should be familiar. The European Curriculum and Syllabus conveys the knowledge required for certified subspecialisation in radiology. 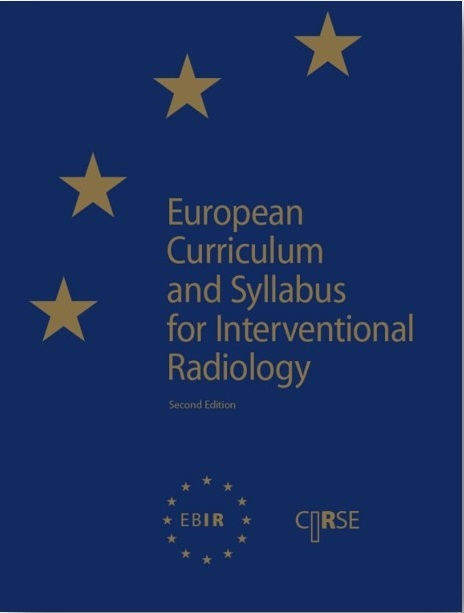 Physicians who have followed the objectives of the curriculum and mastered the content of the syllabus can take the opportunity to sit the European Board of Interventional Radiology and prove their professional competence. The UEMS IR division also endorses the EBIR examination and deems competency testing to be a hugely important process to document the adequacy of training and competence in IR. The training pathway to become an IR will be developed together with the UEMS radiology section.